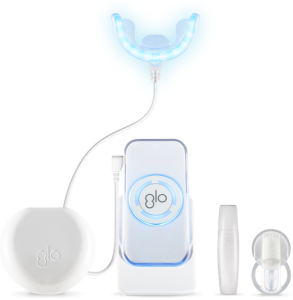 Stonebriar Smile Design is excited to offer a brand new state-of-the-art teeth whitening system, GLO Teeth Whitening. This advanced new dental whitening system is available to you both for in office treatments and take-home whitening. You can read the countless success stories and blogs from the smile innovator himself, Dr. Jonathan Levine at www.thesmileinnovator.com. Contact Stonebriar Smile Design at info@stonebriarsmiledesign.com or 972.377.7800 today and get on your way to a new healthy and white smile!